When it comes to a rental application it is important that the tenant applicant be comfortable with consenting to a credit, criminal and rental background history. This is called Illinois Tenant Screening, and will typically charge a small no-refund fee to the tenant applicant. If a tenant refuses to pay it this is never a good sign and typically means either they can’t afford it or they don’t want you to know their background. AAOA Offers the Best Illinois Tenant Screening Background Checks! Tenant screening should be required for renting property in Illinois, and the following things are what you should be checking for. It is essential that the tenant’s real and correct name is on the application in order to run an accurate background check. This seems like a minor piece of information but it can cause a lot of trouble if it’s not legally correct. The next biggest and most crucial piece of information is the social security number. This also aids in the background and identity check. Employment history is another great thing to screen because it will reflect how well a tenant will be in paying their rent on time and how faithful and responsible they will be to their landlord and the rental space. The next thing to scan is credit history. If a prospective tenant will not pay their debt, they will likely have a hard time paying you as well. A credit history check will disclose everything from a late payment to bankruptcies and foreclosures. Criminal background checking is one of the main things to ensure that the landlord and the rest of the tenants are going to be safe with this prospective tenant. It can also keep a landlord safe from allowing something like illegal drugs to be sold from their unit and get themselves into a legal bind. The last thing to check for is rental history. How frequently has the tenant rented in the past and how well did they maintain those rentals? If they have a heap of late payments, poor upkeep, damages or evictions, then this could pose a potential problem. The biggest key is to keep the process consistent to avoid any discriminatory discrepancies. Check the same things on every tenant applicant, not just a few. This will prevent any claims of discrimination later down the road, and keep the landlord’s moral standard intact. To get an inexpensive Illinois Tenant Screening done, or to receive more information, visit (https://www.american-apartment-owners-association.org/tenant-screening/). The American Apartment Owners Association provides tenant screening background checks nationwide. 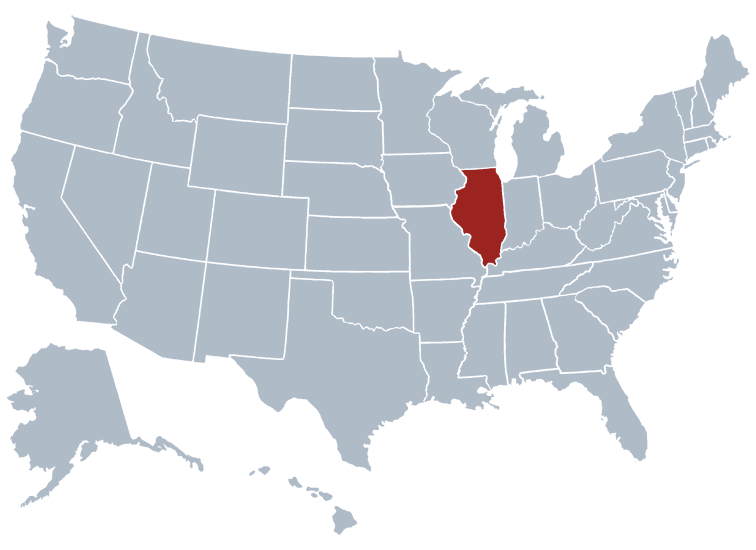 Looking for a tenant screening report in a state other than Illinois? Visit our Tenant Screening Background Checks page to learn more.